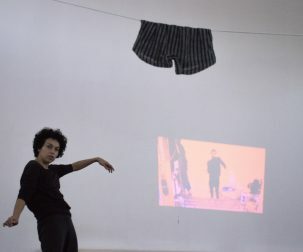 Without Damage is a contemporary dance performance, based on the choreographic research of dancer Mohamed Fouad. It is a reflection on the circulation of internal and external forces that the body must adapt in order to live in a never ending changing environment. 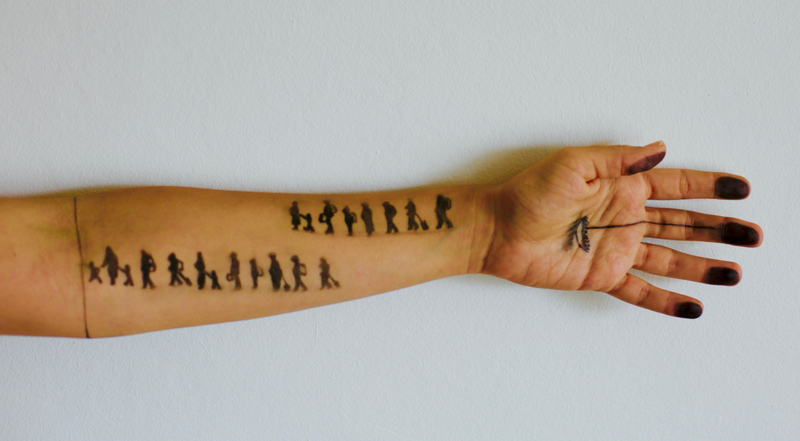 A man springs out of the darkness to leave a trace of his presence on the ground. 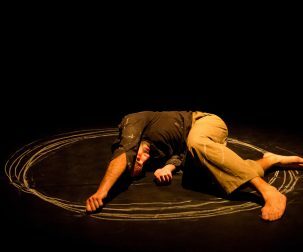 The dancer Mohamed Fouad draws with chalk and the contact of his body with the earth. 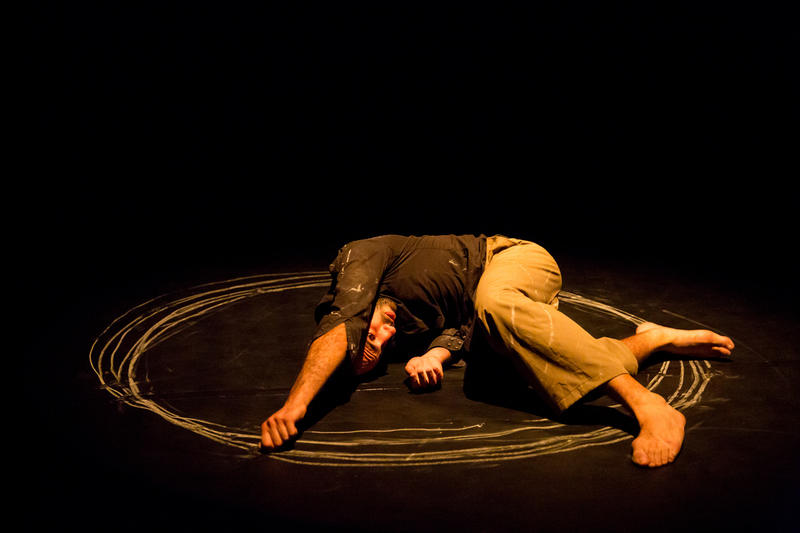 His choreographic research is punctuated by a series of interruptions that give space to speech. The dancer wonders about the meaning of art and its commodification. 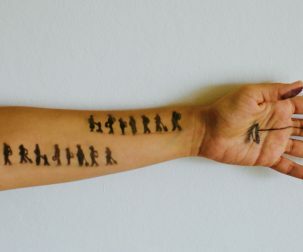 Mohamed Fouad uses the bodies of the spectators who lend themselves to the game and come, in turn, to draw the trace of their passage on the board. He invites them to take part in the interpretation.